CGTrader is calling for all bloggers interested in design to join the conversation about the future of design and win $4000 along the way. Share your insights on the topic “Designing for the future: trends we need to consider now” within the field usually covered in your own blog and be a part of broader discussion of how the future of design will look like. Write an original blog post about designing for the future and post it in your blog. As it is the post for your own blog, it is up to you to decide the length, form, and specific question to answer with the piece. Inform us about your participation by filling in application form here. The submissions should be received before August 1, 2017 11:59PM PT. The post is your creation and we are sure your experience and ideas will be something unique and reflective of your blog and audience - be creative and do not restrain yourself too much ;) There will be three winners selected, so don’t miss your chance and join now! If you are sharing your post on social media, don’t forget to use #designingforfuture and learn what thoughts others are spreading. Though surely not required, you can tag CGTrader as well - we will be reading your posts throughout the competition and help spread the interesting ones via our media channels (this, however, will not determine the winning submission - we simply love great insights). The total prize pool is valued at over $4000 including $2000 in cash from CGTrader and amazing prizes from our partners. There will be 3 best submissions awarded. The following are the official rules (“Rules”) for the Design Your Sole Contest (“Contest”). In order to enter the Contest, you must agree to these Rules. You agree that submission of an entry form with a unique blog post URL (“Entry”) constitutes your agreement to these Rules. The Contest is organized and sponsored by CGTrader, UAB. 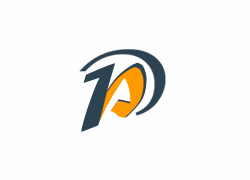 (“Organizer”) as well as partners from “Elegant marketplace”, “Blurb”, “JobMob”, “Phpbits Creative Studio”, “Promenade Themes”, “SeedProd”, “WebTrafficGeeks” (“Sponsors”). By entering and participating in the Contest, you agree to be bound by these Rules and by the Organizer’s decisions, which are final and binding on all matters relating to the Contest. Entrants are required to provide accurate, valid and truthful information at all times. The Organizer will reject and delete any Entry that it discovers to be plagiarism, false, fraudulent, illegal or deceptive and will disqualify any entrant who tampers with the Entry process, the operation of the Contest, or is otherwise in violation of the Rules. The Organizer reserves the right to verify the accuracy of any and all information provided in connection with this Contest, and to otherwise investigate the eligibility of any entrant. A potential winner’s right to receive the prizes shall be subject to such investigation and verification by Organizer. The Entry submission period to the Contest begins at 11:59 P.M. Pacific Time (“PT”) on May 8, 2017, and ends at 11:59 PM PT on August 1, 2017. The winners of the contest will be selected by CGTrader representatives. The panel will review all entries after the competition deadline on August 1, 2017 and hold a vote to choose the top three entries. Applicants will be judged on the originality, thoughtfulness, clarity and insight presented in their blog posts. The winners will be announced before August 15, 2017 on CGTrader Blog and informed personally via email. If the top three winning submissions are discovered to be invalid for any reason including but not limited to plagiarism or failing to provide unique new content after the winner announcement, if the top three entrants cannot be contacted or do not respond within twenty-four hours from the contact from CGTrader team, alternative submissions may be selected. Funds are provided by CGTrader and contest sponsors. The winners will receive $1000 (1st place), $500 (2nd place) and $500 (3rd place) Direct Deposit electronic Payments provided by CGTrader. As well as access to the prizes provided by the sponsors. The prizes are non-transferable. No substitutions of prizes are permitted. Acceptance of any prize shall constitute consent on the winner's part to allow the use of the winner's name, image, voice and/or likeness by CGTrader for editorial, advertising, promotional, marketing and/or other purposes without further compensation except where prohibited by law. The Organizer reserves the right to revise these Terms and Conditions without prior notice to uphold the quality and integrity of this content for the interests of our participants. Email contest@cgtrader.com with additional questions, comments and inquiries about the Designing For The Future: Annual Blogging Contest. Below is the information about sponsors and the products that are giveaways for the contest. 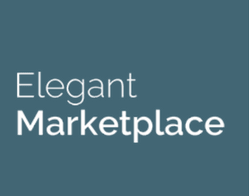 Elegant Marketplace is an international marketplace for quality child themes, plug-ins, tutorials, SEO techniques and technical support related to the Divi page-builder framework and more. 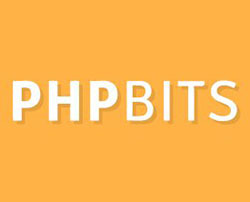 Phpbits Creative Studio - carefully cooked WordPress plugins. Just the right blend of creativity, user friendliness and functionality. Jacob Share is the job search expert who founded JobMob in 2007, growing one of the most popular job search blogs in the world. 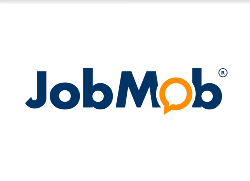 JobMob is filled with straight-talking advice based on real world experience, a love for design, and with lots of humor thrown in. 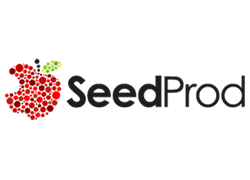 SeedProd - SeedProd's flagship plugin, Coming Soon Pro, is the #1 coming soon and maintenance mode plugin for WordPress. In addition to their flagship product SeedProd offers a suite of other plugins for Developers and Users of WordPress. 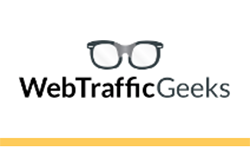 WebTrafficGeeks - a hard-working team from Holland, dedicated to bringing you the best quality traffic in the world. We search for new traffic sources each day and are real geeks when it comes to web traffic! 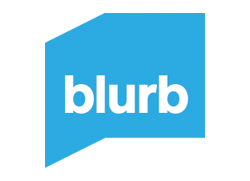 Blurb is a book-making platform that enables individuals to create, publish, share, and sell high-quality photo books, trade books, and magazines in both print and digital formats. Blurb is accessible to consumers across the globe with free, innovative book creation and layout tools. Founded in 2005, Blurb has over 2 million customers worldwide, resulting in over 3 million unique book titles, with nearly 22 million units shipped to over 70 countries around the world.